You’ve heard of an Essex Girl or even a Chelsea Girl but what is a Hounslow Girl? First there was Bridget Jones Diary, then Legally Blonde, and now there is The Diary of a Hounslow Girl, geared up to take on the world. A comic story of dreams, aspirations and coming of age. Ambreen Razia is a writer and actor from South London. The Diary of a Hounslow Girl is her debut play. 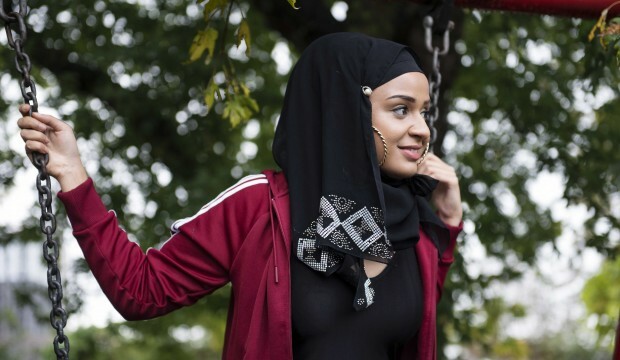 Ambreen recently featured in: Murdered By My Father (BBC Three) and No Guts, No Heart, No Glory (BBC 4 / Perth Festival Australia). Press night is Thursday 9th March at 7.30pm at the Bernie Grant Arts Centre, with additional performances on 10th and 11th March.